in Education, Farming & Agriculture, News At A Glance and tagged conservation, farmers, technology. Bookmark the permalink. The sun beats down on the dried Tanzanian soils. Dust is slowly settling back down to the ground in the wake of a parade of tourists’ vehicles, which are now disappearing over the horizon. It’s dry season in the Serengeti National Park, and safari trucks are groaning under the weight of excited visitors. 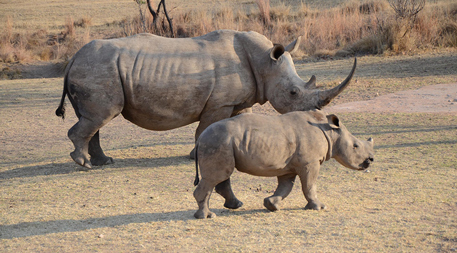 Protecting rhinos from poachers has always been an integral part of park management. While it’s still a complicated and highly skilled endeavor, it’s been made a little easier thanks to recent advances in data communications technology. Using geolocation sensors implanted in the rhinos’ horns and novel wireless telecommunications technology known as a low-power wide-area network (LPWAN), rangers can track the Serengeti’s rhinos from a central location, then concentrate their surveillance efforts where the animals are at any given time. “Our aim is to make everything in the park measurable, so the manager knows how to anticipate certain circumstances,” he says. In the last few years, LPWANs have shaken things up significantly in the data collection world relative to the better-known data collection and transmission tools of WiFi, Bluetooth and mobile internet. 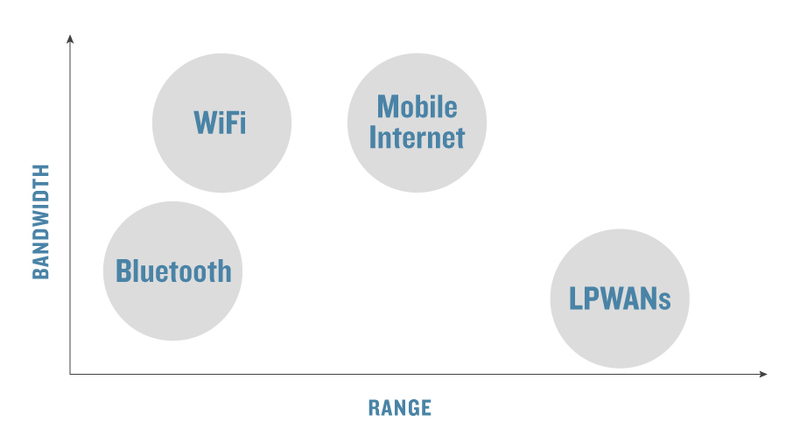 WiFi and Bluetooth have a limited range of around 30–50 meters (100–150 feet) and 10 meters (35 feet), respectively. Mobile internet has great range and can carry data at the high rate required to support voice calls, video and image sharing, but it requires a huge amount of power. Because LPWAN uses low radio frequency bands, it can send and receive data across 5 kilometers (3 miles) in a built-up city area and up to 150 kilometers (95 miles) without any obstacles. While most of us have to recharge our phones once a day, the batteries in LPWAN devices can last up to a decade. And though the technology can’t handle the data a mobile phone can, it’s powerful enough for communicating sensor data, which is typically just a small collection of numbers, such as temperature, speed and density. LPWANs can be used to reduce conflict between wildlife and people, too. In Assam, India, Smart Parks is installing smart sensors on fences bordering farmland and communities. When an elephant shows up, the sensor alerts people to its presence. The rangers can then scare the animal away, preventing damage to communities and crops. “We’re using human-made technology in order for reserves and animals to have as little interaction with humans as possible,” de Groot says. These data can be used to inform decisions around infrastructure planning and maintenance, such as installing energy-saving valves [and] repairing leaks. “The idea is to integrate this with other data feeds from various sensors — so you can imagine rainfall sensors, flow sensors, all integrated together,” says center water coordinator Kevin Fitzgibbon. These data can be used to inform decisions around infrastructure planning and maintenance, such as installing energy-saving valves, repairing leaks, cleaning up pathogens, and optimizing water recycling. European Union regulations around soil fertilization are fairly broad — farmers can spread fertilizer any time between March and October — and it’s not uncommon for it to end up polluting water in addition to nourishing crops. 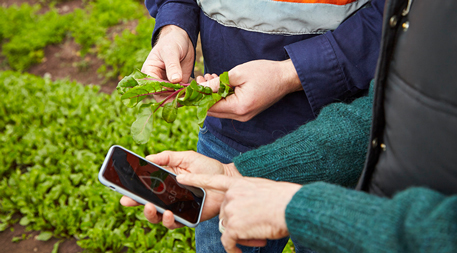 Australian farmers are using LPWAN to measure local conditions and use them to decide when to irrigate, fertilize and harvest their crops. An Australian business, The Yield, has already developed technology and analytical frameworks very similar to those Fitzgibbon imagines. It’s produced a service for farmers that integrates sensor data from the ground with local weather conditions. Sensors deployed by the company can measure temperature, humidity, barometric pressure, wind speed and direction, and more. This allows customers to base decisions around irrigation, fertilization and harvest on accurate, highly localized data so they can not only save time and money, but avoid wasting resources. “We know we need to be able to farm better — to produce the right amount of yield so we can avoid gluts and wastage which we see so often in the agricultural world,” explains Felicity Turner, general manager of customer experience. Farmers don’t have to err on the side of caution quite so often.The Yield is sharing data it gathers with researchers at the University of Technology, Sydney, who are working on crop and livestock disease prediction models. They’ve been particularly focused on Pacific oyster mortality syndrome (POMS), a viral disease estimated to have cost the Australian state of Tasmania US$4.2 million during one 2016 outbreak. Because of the huge risk POMS poses to oyster crops, farmers can be forced to close their farms when they notice even slight changes in water quality. In using a wide array of data feeds, such as salinity and water temperature, to build an accurate prediction model, farmers don’t have to err on the side of caution quite so often. “The biggest barrier to adoption of LPWAN is — who is going to pay for the infrastructure?” Fitzgibbon says. The future of LPWANs in sustainability and environmental management clearly lies in the hands of those who have the money and power to make it happen. Some World Heritage Sites and research facilities might have the resources to support these tech solutions, but smaller scale projects may not. Worldwide, some local governments and corporations are already working on developing LPWAN infrastructure — but these bodies are not always inclined to make it openly accessible.